...to everyone who volunteered to teach the kids, made donations, brought food, attended VBS and the BBQ and generally made VBS a wonderful time of learning about the promises of Jesus and a FUN event! 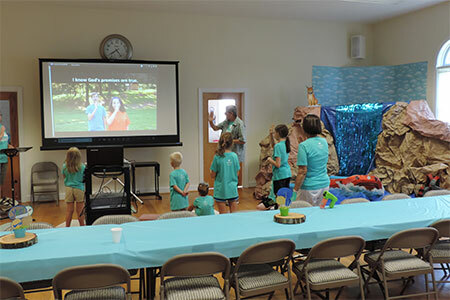 *View the 2018 VBS Photo Gallery! God’s Promise on Life’s Wild Ride – Life is full of thrills and spills; we may not know what's around the bend, but God does! At Splash Canyon, kids discover that Jesus is by their side on life's wild ride. God saves us through Jesus and gives us life and hope every day and forever.